→7 Sure-Fire Ways to Improve Your Blog Right Now! 7 Sure-Fire Ways to Improve Your Blog Right Now! I’m delighted to be on Enstine Sir’s blog to share my blogging experiences and suggestions on how to improve your blog right now. So, you’ve reached here to get some ways to make a better blog, Am I right? I appreciate your interest in reading my post and the enthusiasm in facing the challenges of blogging. I would say that Blogging is an admirable journey that should move forward in a consistent manner. If you’re a blogger who are updating your blog with reliable blog posts and satisfied with its search engine performance, then you deserve a pat on the back. It means that you’ve done something well and my best regards to tackle the future blogging intricacies. You might ask me “How is your blog performing?” and my reply would be “Yes, its’ not bad!”. But I felt that I’ve missed some imperative stuff that should be improved. Because, my blog traffic remains the same for long (neither traffic drop nor improvement) and Alexa rank got a bit worse. I know this is a sad thing, but I’ve learnt a lot from these adverse blog results. I’ve sent a detailed mail to my mentor (Atish Ranjan) and got some suggestions to improve my blog. Then I read the awesome posts contributed as guest post by the innovative bloggers (Kulwant Nagi and Anil Agarwal) to improve my blog ranking. Finally, I’ve made some progressive changes to my blog and hoping for the good results. If you would like to have a well-performing blog, you may read my suggestions below on “how to improve your blog” to blog like pro. Understanding the ways to improve your blog is simple but implementing the methods matter a lot which would let you to make profits with your blog. Here are my 7 sure-fire ways to start enhancing your blog today. If the design of your blog is responsive and thus optimized for mobile devices, you don’t need to do any changes in it. But if you have an unreceptive blog design, you need to act right now to modify it. Some responsive WordPress themes have excellent design to offer better clarity for the readers and no matter the platform on which it is viewed. I would say that it is a serious blog pointer to be worked on. My previous premium theme was not reactive for small devices like Tablet/iPad and Android/iPhone and hence I’ve moved to a good responsive blog design. Ankit Kumar from Bloggertipstricks has helped to change my theme and you may have its fresh look here. So, if you wanna improve your blog’s readability, get a quick to respond blog theme. How often you update your blog? Once in a week? Yes? You need to change this attitude right now. Increasing the post frequency per week is the easiest way to improve your blog. But avoid publishing some inappropriate content 5 times a week for the sake of posting. Just set a goal to publish 2 posts week and check your blog performance. Then gradually increase the post publishing activity from 2 to 3 and therefore you’ll certainly be improving your blog. I know the difficulty of creating in-depth good quality content and so I’m suggesting you to follow an easy blogging schedule. If you intended to follow a strict plan for blogging, your value of the content might diminish which would urge your visitors to run away to other blog. So, slowly increase your post program and be sure to keep up its quality remain high. I think that its’ not essential to explain the importance of building quality backlinks. If you wanna achieve better search engine rankings, you have to create valuable backlinks that will send good amount traffic to your blog. No matter if the links are dofollow or nofollow but make them to look natural. Avoid creating links by leaving pointless comments and contributing sloppy guest posts. It won’t work to progress your blog and wouldn’t allow you to get your blog’s name out on other blogs. Besides, do internal linking with matching anchor text, carefully watch broken links and crawl errors in Google Webmaster tools. If you start to execute all these activities along with on-page SEO, your blog will grow steadily. Link out some good resources at every blog post was the very first counsel from my mentor to improve my blog and since then I’ve followed it. In addition, I don’t know what Black Hat SEO is and never use the wrong SEO techniques till now. I’m watchful while creating backlinks for my blog. Interesting blog content would not only increase the curiosity of the visitors but also let them appear on your blog regularly. Your primary goal should be to concentrate in creating the unique content by sharing your creative thoughts, ideas and opinions in every blog post. However, do not write boring information again and again; instead you may add some exciting Infographs or videos related to the information you’re writing. Moreover, do not forget to add eye-catching pictures in your blog posts to provoke your readers’ attention and to drive traffic from Pinterest. Previously, I used to write just what I know but now I’ve realized my mistake. I do keyword research and collect trendy news related to the targeted keyword to write down the comprehensive blog posts. Also, I’m familiar with the importance of having compelling images at every blog post and accordingly I’ve started to edit the images that match to the content. As a result, my blog traffic from Pinterest has improved a lot. When visitors land on your blog, they should feel comfortable in grabbing the information what they need and should not be distracted in any way. Hence, if you want your readers to come back to your blog and to enhance their user experience, it is good to remove the unwanted stuffs from your blog. This is the great lesson that I’ve learnt from Adam Connell, blogger who inspires me a lot. You check his post “Useless elements to you need to remove from your blog” to improve your blog by removing the unwanted elements. In the past, I had some useless badges and blog directories link at the sidebar of my blog. After reading this meaningful post, I’ve removed them. I have been pondering on the idea of moving some elements like Alexa widget and social profiles to the footer area. If you want to seriously boost the achievement of your blog, do concentrate to turn your blog into an interactive community medium. Encourage your readers to share their valuable opinions about your blog content and interact with them through comment section. Make use of blogging communities and social media to network with other bloggers that would expose your blog to new audience. I accept that you receive targeted traffic from search engines. But to make your blog look more natural and stay safe with Google Penguin algorithm, integrate your blog with social sites and get connected to a group of people who support your blog. If you wish to stay on your own, you’ll not be able to reach the blogging success. If you know me, you may notice my active presence at several social networks. I’m sure that this idea will work. Yes! Never hesitate to ask suggestions to your friends (not newbies) and influential bloggers to improve your blog. I do agree that making big changes to your blog is a great thing but you’ll get good results if you take correct decision. Move your blog to next level with great confidence and be glad with your changing choices. Concentrate on implementing one strategy at a time to advance your blog. As I stated early, I do ask suggestions from great bloggers to make my blog better. I’m not a person with great confidence level! Yes, sometimes I feel unhappy with my blog performance. But I take advices from experienced bloggers to do an enriched blogging. I strongly wanna insist that you might get confuse with the guidance of too many persons and thus seek limited blogging instructions. As there exist a huge competition between millions of blogs, creating a successful blog that attract the readers is really an art. Great blogs can’t build overnight; it depends on your smart activities. All of these ideas are meant to make your blog better right now. What tactics have you used to increase your blog’s page rank? Have you consider any other ways to improve your blog? Look forward to hear your insights in the comment section. Hello Nirmala, I Think it will be nice article but i just read only heading in the content because i know about this in brief but from here i just read Alter the Content Style because i didn’t know about that topic thanks a lot for sharing your tips. Thanks for reading my guest post. Yes, it is good to do variations in the blog content without changing our unique writing style to grab the attention of visitors. Smart work would help in this matter and add fruitful information for the readers to catch their intentness. Thanks for reading my guest post and good to know that it had helped you to load your blog faster by removing unnecessary elements. Sure, you’ll definitely be improving your blog with it Decoslim. Glad to see you here on Enstine Muki’s blog. This post was awesome! Coming to the post, the ways which you shared are surely effective! I would stress on appropriate blog theme and quality of the content amongst the others. In addition to this, building relationships also has much value. Thanks for agreeing my points to improve your blog Yashraj and gald with your compliments too. Theme has more value now a days in bringing traffic from mobile devices and hence it should be considered seriously by the bloggers. hence I listed it in top and yes, network with other bloggers is the genuine way to reach the blogging success. Here you’re doing a mistake Yashraj! it is good to ask suggestions from senior bloggers to improve your blog. Most of the bloggers have helping attitude and thus they will respond to your queries. Yes…. You’ve said it right! I was mistaken when it comes to taking suggestions. This is what this post taught me! I always thought of taking help but not of suggestions. I think I need to start doing that now! Kindly suggest me ways to improve my blog! Thanks for the response, Nirmala Ma’m! Hope to make good changes in my blog for the better. Awesome and wonderful guest post I must say! Everyone wants to make money, fame and authority to his/her blog, and one can do it only by improving it! It’s important to improve activity between you and the readers as blogging is all about connecting. Yes! Every blog has to be improved in some ways to make a steady income with it. Also, the relation between the readers and bloggers should be greatly progressed and therefore they will show their constant love towards our blog in the form of comments & share. Thanks for adding your thoughts Sayantan. Thanks Nirmala for mentioning me here. Responsive design is what needed in today’s gadget age. People are browsing with tabs, phones even more than desktops or laptops. Even, my own TTW theme is not responsive but I am almost coded it on local system and it will be responsive soon. Link building is something you need to rank well for competitive keywords but at the same time you need to be very careful. Glad that you have jotted down all the tips here to improve the blog. Its my wish to mention you everywhere Atish. I’m just remembering the first day blogging with MMF, it was awesome. I’ve reached this level in blogging because of your inspiration & timely support. Good to know that TTW will be responsive in near future and I can see its improvements through your amazing coding work. I know that you’re working day and night for it, silently admiring your smart work. Sure, will take care of link building to rank well for the targeted keywords. Thanks for sharing this great article. This is the most effective way to know and learn about 7 sure-fire ways to improve your blog. These will be very helpful and useful for bloggers. I had fun reading this and many great insights here. I will share this information with my friends and they will certainly love to read this. Very informative, I’ll definitely give these 5 stars. Glad you liked my post and thanks for sharing the information with your friends which I’ve mentioned here. Improving a blog would let you to learn so many helpful stuffs and I’m experiencing it. Great post. I think it is really essential to choose responsive theme otherwise we will loose our mobile traffic. But sometime it is really difficult to get topic ideas for writing new post. Thanks for your suggestion. Yes, having a good responsive theme is essential for every blogger to satisfy the visitors from mobile devices. Visiting other blogs of same niche and taking part in blogging communities like Bizsugar, Kingged, Blokube etc. will give you the ideas to write for your blog. Thanks for including your comment Sarmista Aun. Thanks Nirmala for the quick / handy mentor. I think I’ve failed in the area of post frequency after carrying out 301 redirect on my personal blog, do my tight schedules. By the way, I can take it from here. A part of blogging success depends on the post publishing consistency. Thus it is good to maintain a good constancy in delivering the posts for readers. Not only for them, even the search engines would expect your consistent posts to give better rank for your blog posts. I agree with you Kelvin that it is somewhat difficult to maintain a great post delivering steadiness on tight schedules. In this case, saving some posts in drafts or hiring a good writer would help to publish the consistent posts on your blog. Thanks for sharing your experiences here and glad you took something useful from my post. Thankz man for the wonderful-post indeed.. Sometime it makes difficult to maintain frequency of publishing post but yes one has to maintain the frequency. All the points are worth following. Thanks for leaving your view on improving the blog and yes, I do agree with it. I was facing this issue at my earlier day of blogging. But I’ve started to save posts in draft to maintain the consistency. And, this helps me to gain authority among my blog readers. Great blogs can’t build overnight! This is the moral of this whole post. We just need to keep improving our blog. “Do more” should be the punchline of our blogging struggle. There is no end to work smart. All the points you mentioned are very important. One point is quite amazing because I am getting it at most of the places. Here I describe this point with a little detail. a) What was the ideal posting frequency a few years ago? Obviously daily posting frequency was the most desirable to get huge traffic. A post of 500-word with affluently-put keywords into it was considered an awesome post and it did derive huge traffic at the blog during those early days of blogging. b) Then things changed after a series of lethal algoritham by Google which shifted the focus from mere quantity to quality. Weekly posting frequency was then considered the ideal one. Many blogs were started and made successful by following this strategy. Blog of Jon Morrow is glaring example of it. c) But now everywhere it is being advised that to get more traffic one needs to post more than once in a week. Yes I admit the advice to avoid posting daily is also being given if quality declines. But the popular advice on posting frequency is now more than once in a week. It is not a matter of concern but it is a matter of satisfaction that posting frquency is being rationalized now. Balanced way of doing thing – neither more nor lesser – is the most effective way of doing things. I am impressed you also supported this way of rationalizing the posting frequency. We can say that almost in every blogging chore things are being rationalized by themselves. So we are lucky that we are entering into an era where chances of trial and errors have least space and most of things will be well tested. Thanks a lot for sharing this wonderful post; and thanks Enstine for making her share her wonderful views with this blog readers and I am very proudly one of them. I am accepting all your opinions about post frequency. Yeah, as you told, things were changed a lot and search engine rankings mainly depends on quality than quantity. So, I’m following the same by publishing 1 post per week. But, if we want to improve our blog, it is imperative to increase the post frequency at least from 1 to 2. Did you noticed or not? Recently, Enstine sir updated his Facebook status “My traffic has improved a lot because of publishing the posts daily”. I just told that the quality of the posts should remain high and just increase the post publishing activity gradually to progress your blog. Lovely to see you in Enstine’s blog. The tips you shared is amazing and outsource many learning stuff which is really remarkable. I am ecstatic to know all your readworthy and followable points. Keep doing good as you always do.. The simple things can make a lot of difference to improving one’s blog. I’ve specified some simple things to improve a blog in this post. Glad you liked this post and I’m thankful to get your comment. I think the frequency issue is my main hurdle and will be working on more content on my blog. I also think doing guest posts like this on other blogs helps tremendously. Congratulations. Terry recently posted…How to Run Your Online Business Like Mickey Mouse? Cheers that you’ve recently moved your businesses to responsive theme. I’m sure that you’ll get good improvement in product sales/service. Thanks for your kind appreciating words for my post. Yes, guest blogging with quality posts would let the bloggers to gain great exposure and drive new audience to their blog. Updating the consistent content would help to earn trustworthiness among your visitors. Glad with your presence and thanks for including your comment here. hello mam, your right here and also i know about your all point even i read this post after reading you guest post i really got valuable information for my blog. I’m happy that you got some useful blogging stuffs through my post, thanks for reading my guest post Rahul Kashyap. 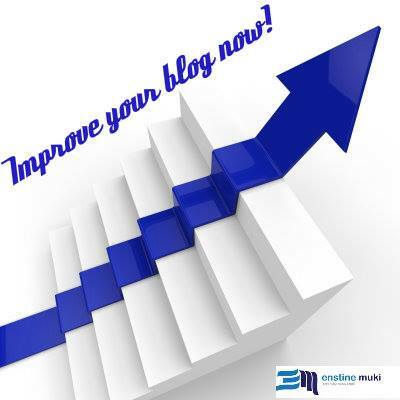 Let me know the performance of your blog after you’ve made the progressive modifications to it. A Very valuable and Helpful post for a blogger like me all the Key point of blogging have been Highlighted In this post . Thanks for your helpful guest post. These 7 ways are really important for bloggers to improve their blog. Using best performing theme, putting quality content on blog and building good relations with others is the best practice for blogging success. I read post of Adam. It’s super cool. Thanks for sharing it here. Great post! Keep sharing your knowledge with us. A special thanks again Ankit Bro. Thanks for your great help in fixing the responsive theme for my blog. Yes, Adam’s posts are really worth to read & learn and hence I’m regular to his blog. I really appreciate you for realizing your blogging mistakes and hope you’ll certainly be improving your blog. Maintaining a good post frequency is really important for the bloggers as it would let us to take our blog to next level effortlessly. Getting suggestions from senior bloggers is also an imperative task to be done by the newbie bloggers. While implementing the suggestions, you’ll learn a hell lot of helpful stuffs to make a better blog. Many newbie bloggers use bad free themes which affect their SEO badly. Although there are some good free themes as well, you just need to search them. I just want to know one thing, will you make the link nofollow while linking out other reputed blogs? If so why because you’re linking a solid blog so what’s the reason behind making your referring link nofollow? I agree with you about posting more often (while making sure the quality doesn’t suffer) but I would add that, obviously, it’s not enough in itself. You might have really good content but if you don’t have any readers, no one’s going to see it. I think it’s a combination of great content and interacting with other people. Visiting others’ blogs regularly, leaving them meaningful comments, connecting with them on social media and so on. That was really a good read through. I am sure that I have learnt some more then what I know to improve my blog. I am gonna surely implement them in my blog. Making a blog is that much harder job, then keeps it running. But sometimes your blog became less popular at that time you need a boost to bring it back on the tracks. This is a right guide for these types of cases. Thanks for this nice info. Truly Nirmala, your 7 Sure-Fire Ways to Improve Your Blog Right Now is a great tip that all bloggers cannot pretend not to acknowledge, i must say a big thank you for your effort in putting this together. Great article Nirmala, you have put in a lot of effort to write this article and it shows. I agree on your pint that blog design matters a lot when it comes to traffic. Hi, Nirmala. Thank you for sharing these guidelines. These tips really helped me to improve my website’s appearance and performance. Thanks – Sanjay sajeev . I like your post. I get a lot of new understanding in blogging. These words kill me, hahaha.. Thanks for sharing this helpful post, Nirmala.